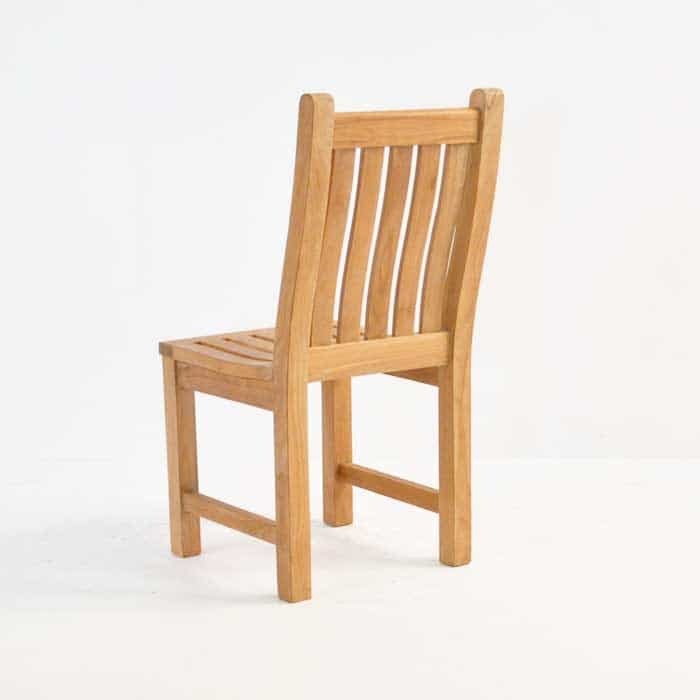 Simple, classic and chic; the Wave Teak Side Chair sports tremendous, thick cuts of Grade A Teak, while the name ‘Wave’ refers to the exquisite curved detail in the back of the piece for lumbar support and adding to the overall attractiveness of the piece! 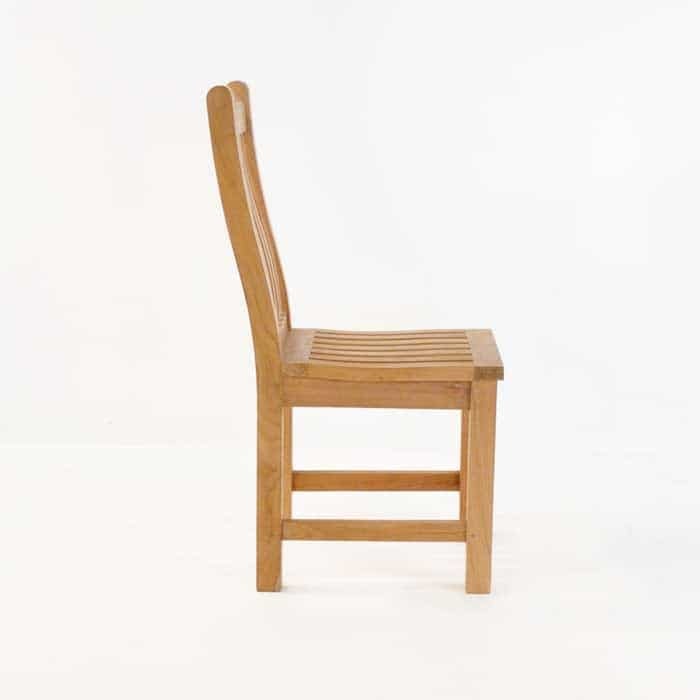 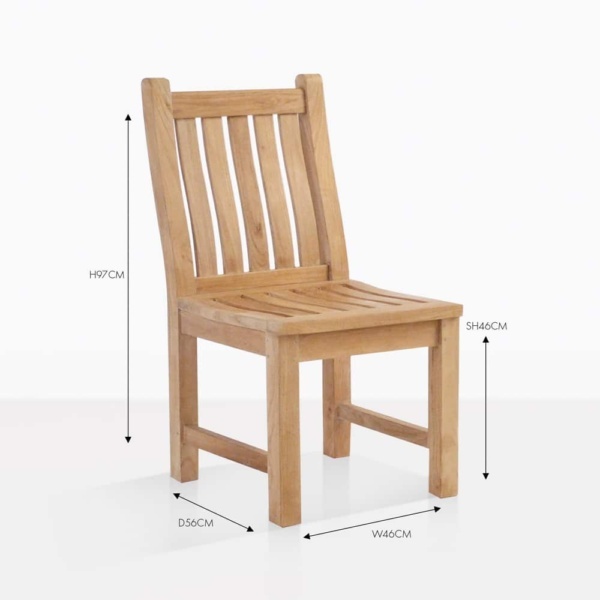 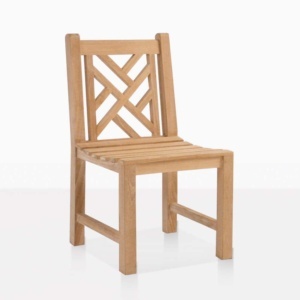 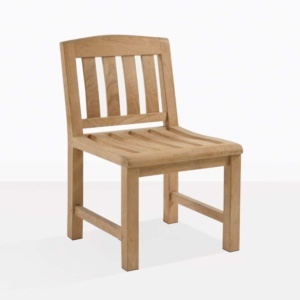 A convenient dining height, this teak side chair is perfect for a variety of our Grade A Teak dining tables! Pair it up with the Wave Arm Chair or Wave Benches in a 2 and 3 Seater option.